Refresher…I had gotten an alignment done in last September, but had not adjusted anything at the time other than the toe-in. Then in December I had a minor prang to the front left corner requiring a replacement upper wishbone balljoint. 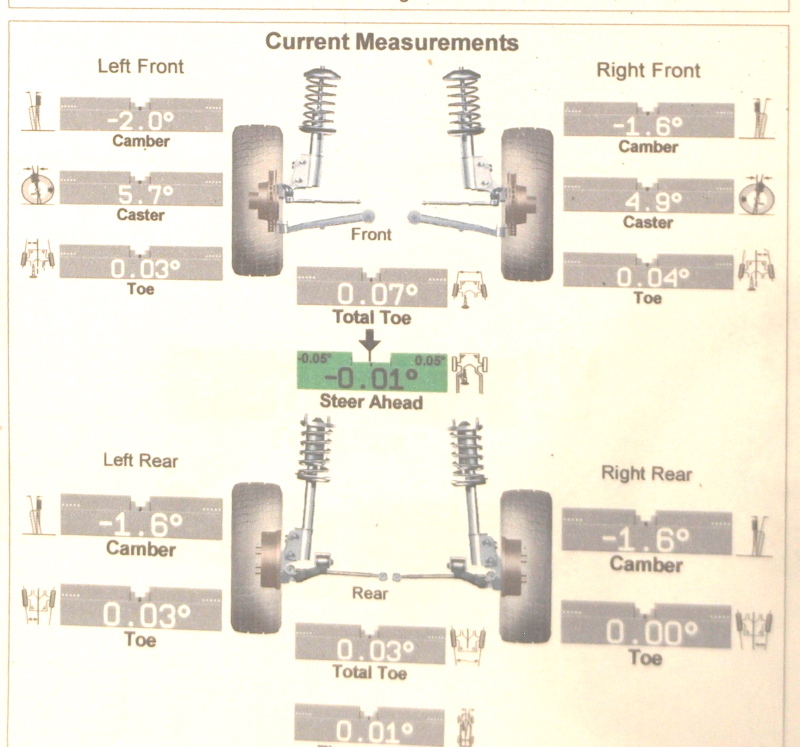 After replacing the ball joint, I adjusted the front suspension, but had not gotten a new set of alignment measurements. This should have come out better, based on my calculations, but interestingly the LHS was actually going the wrong way. So, I have to assume that the prang caused some change. I need to take out about 0.4 degrees of negative camber on the LHS front and reduce the castor to match the RHS. I don’t know if I can get the castor down to 4 degrees – this requires moving the lower suspension wishbone backwards by shimming with washers, but I’m already down to a single thin washer on the RHS. I don’t know if I can alternatively move the upper wishbone forwards – I’ll have to check that.